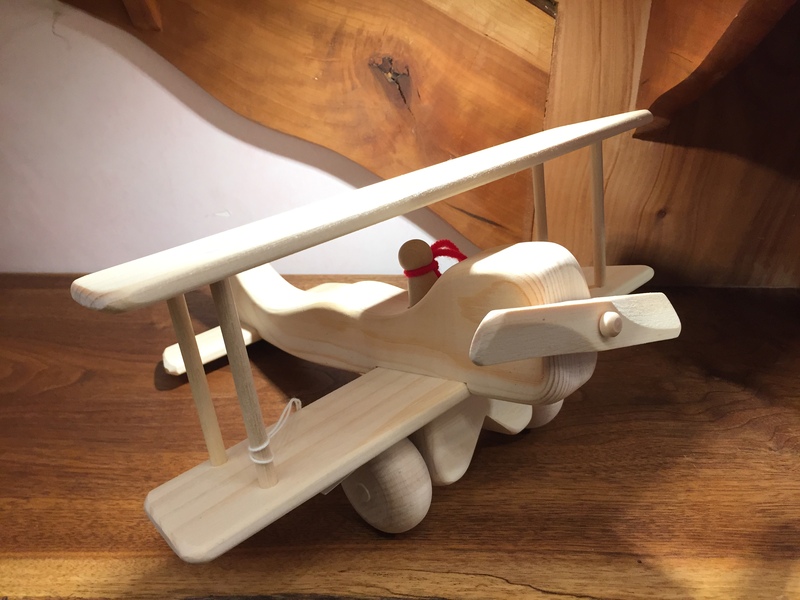 Red Baron Bi-plane is a favorite toy of kids and adults alike. 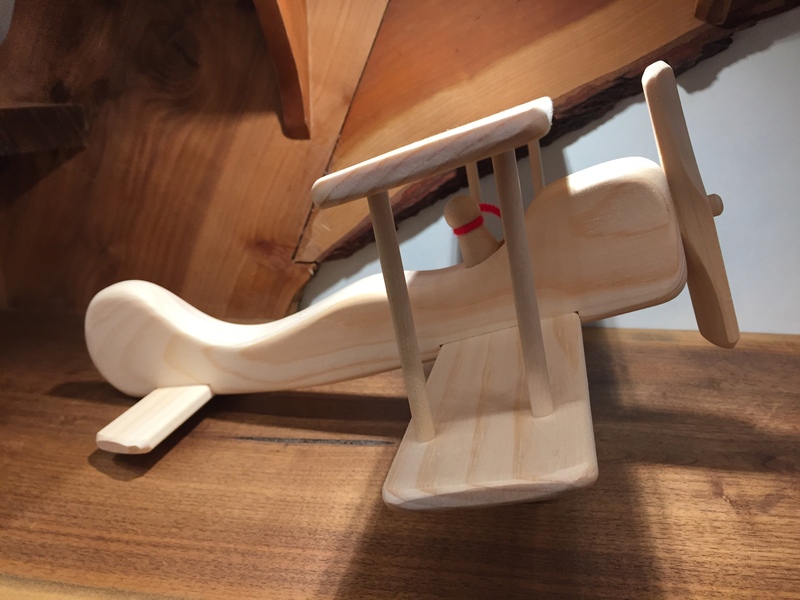 I often “fly” a toy airplane around the workshop myself (when no-one else is watching). 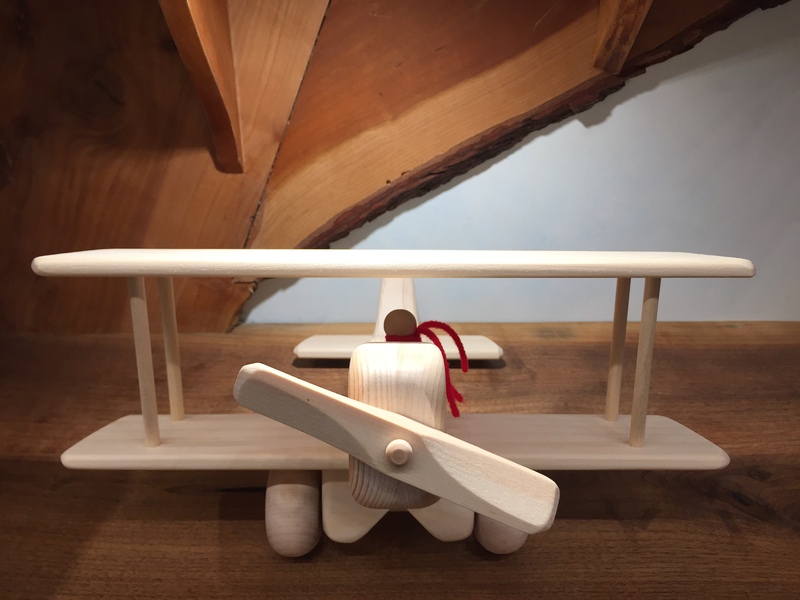 The wingspan and the body both measure 12” long, and it comes with a removable red scarfed pilot and a propeller that spins. 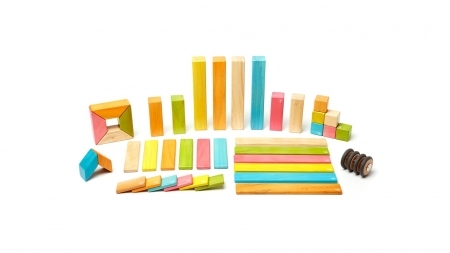 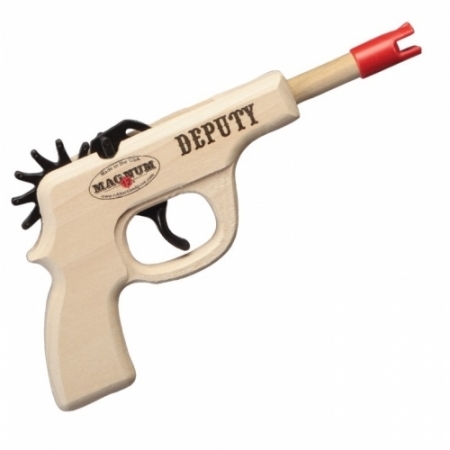 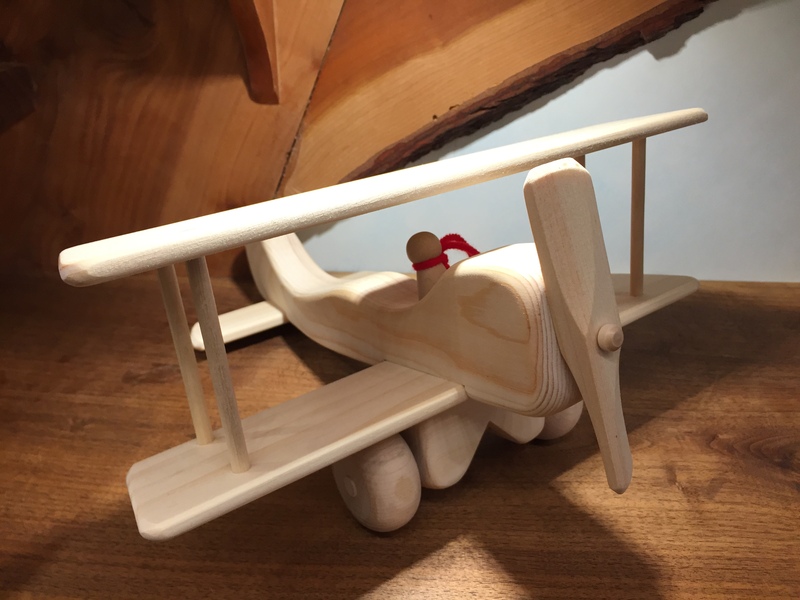 The wood toy Red Baron bi-plane is hand sanded to a satin smooth natural finish. 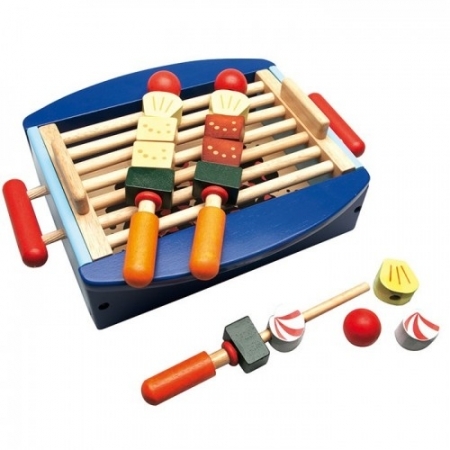 It will delight any child or grand child with many hours of fun, and will then be displayed on the top shelf, to be taken down now and then for an occasional “flight” in the years ahead.